From scrappy startup to SaaS success: Looking back on Learnosity’s 10-year journey to date. For the last 10 years, Learnosity has pretty much followed the clichéd path of a tech startup, which means you start off by struggling. And we did. It was just myself and co-founder Mark Lynch for the first couple of years and, up until 2013 my “office” was the shed in the back garden of my parents’ house in Drogheda. For the non-Irish folk, that’s a small town an hour north of Dublin city. The early years were a hard slog. Not saying that it’s easy now, but we no longer face the same struggle to survive that we did back then. I have vivid memories of doggedly traipsing the conference circuit in a bid to get our name out there, sleeping on friends’ couches because we couldn’t afford the London hotel fees and, on one memorable occasion, having the dubious honor of flying for 15 hours and driving for 3 to present to an audience of one person at a prestigious edtech conference. At least they didn’t leave. It sounds a bit lofty to say we started out with a mission to save education. It didn’t quite start out like that if I’m honest. Back in 2007 we just knew education technology kind of sucked and that, as the most important investment we could make in our future, education and students deserved so much more. We also knew that as engineers (yes, I used to code too!) we could build way better software. Learnosity began life as an edtech consultancy business but our defining moment came in 2011 when we found our niche and shifted to a SaaS model. 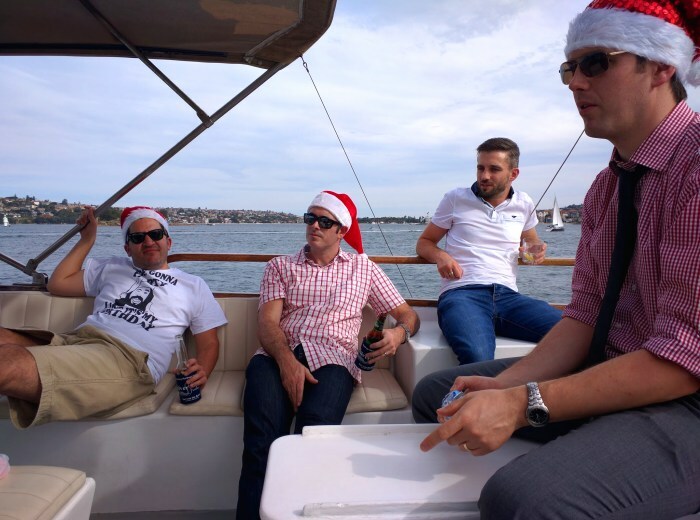 Some of the team enjoying Christmas down-time together – Sydney style! We all know the warning given to every budding entrepreneur: “9 out of 10 startups will fail”. But I’ve always had an almost naive optimism that we were going to make it – I suppose every entrepreneur does. With that mindset, failure just isn’t an option. 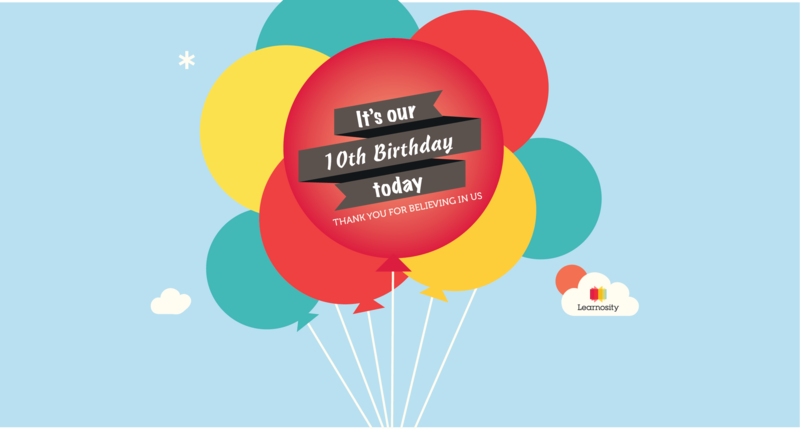 Our tenth birthday has prompted me to think about whether or not we’ve made it into that elusive, successful startup club. What defines success? I think a key element of our achievements so far has been the fact that we’ve been self-funded from the get-go. We tried to get VC money about 6 or 7 years ago, and they really put me through the ringer, figuratively tearing up my carefully written business plans. After more than a few knock-backs, we decided to buckle up, continue on, and go it alone. This made us extremely focused. We didn’t have the luxury of a VC safety net so anything we did needed to have a clear ROI. In the early years, the difference between a successful project and a failed one meant not getting paid that month. Living in debt and without a steady paycheck was my harsh reality for a few years. On top of that, being responsible for other people’s job security gives a whole other kind of motivation. In hindsight, this was a good thing. We didn’t have the resources to be all things to all people: one of the key things we had to learn was how to say “no” to our customers. Ultimately, this helped us make a better product. We kept a laser-sharp focus on what we were good at and competed in an area where we could add the most value to our clients. Two of our engineers, Andrew and Rich, giving a presentation at Educate in New York. The event – our first self-run conference – was completely sold out. 2017 has been a year of milestones for Learnosity. We reached 200 million API calls per month, hit 5 million client-created items in our ItemBank, and are delivering 46 million assessments every month to ~25 million active users. As part of our continued commitment to openness and collaboration in edtech, we launched the Learnosity Partner Network to unite the best technologies and services for the benefit of learners worldwide. We also had the honor of seeing many of our customers under the same roof for the first time in New York at Educate, our inaugural Learnosity-run conference. We owe so many thanks to so many people, but Learnosity’s co-founder, CTO, and my longtime buddy Mark should get a special mention. Mark is an exceptional engineer with a Jedi-like ability to figure stuff out before the rest of us have a chance to even start trying. Think of me as the flashy sales guy and Mark as the true brains behind the operation – the Edge to my Bono. Together we’ve managed to build something we can be proud of. Chuffed with, actually. I would also like to acknowledge the huge role our customers and partners have played in our development – particularly those early few who took a chance on a few lads working out of a shed. We are privileged to have such great customers and work with people who share the same great vision for education as we do. I’m so proud of the team that we’ve built. We’re a diverse team of passionate, talented, and driven individuals, but most importantly we are a team. Together we are building something incredible that’s having a tangible impact on the world’s education system. I’m particularly proud of the fact that we’ve built a successful company and retained our integrity. We call it “being sound” in Ireland. Too many companies lose that along the way. That’s not us! The best way Mark and I have been able to articulate our values is whether or not our mothers would be proud of how we behave in any given situation. I’m pretty sure they are.